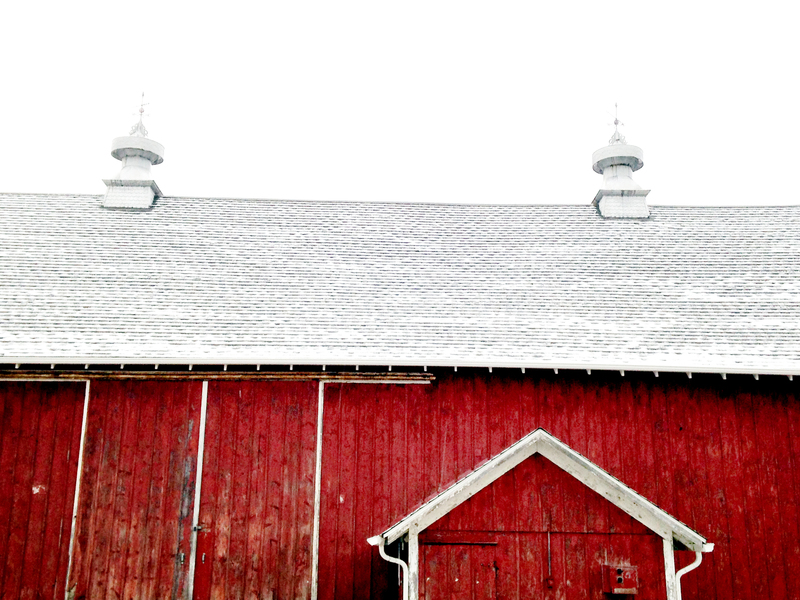 The first snowfall of the year settles on the roof of the barn at Yunker Farm on January 3, 2015 in Mokena. Well, I’d like to think so at least. New year means new commitment. And since the Mokena Messenger is so great about giving me space for my photography, I need to be quite a bit more diligent about providing these great back stories to my weekly MokenaGram. And while on that topic, if any of my Mokena readers have ideas for MokenaGram – someone, or someplace, or something that makes our little town rock, then please email me right away at: jeanlachat@comcast.net. I will consider any suggestions! So many great things happening in my professional and personal world in 2015. I love my cute little studio on Front Street. Kim McAuliffe, owner of An English Garden florist where my studio resides, is my cheerleader, friend and business guru. We are planning on ripping up the second floor carpeting this year and doing some cool work to the floors so that the studio has that shabby-chic vibe both Kim and I enjoy so much. Behind closed doors, we call it “old crap” but don’t tell anyone! I had an outstanding year for portraits in 2014. My business grew by leaps and bounds, and with a lot of hard work, I hope it continues in 2015! THANK you to all my wonderful friends here and around Mokena who consistently spread good words about me and my work. You are so wonderful! 2014 Highlights include (but are not limited to) my awesome seniors from Class of 2015 for giving me creative license to make you look super cool and beautiful! My brides and grooms, who regularly trust me with documenting moments that will last a lifetime. I embrace this responsibility! My families and their adorable children that fill my studio with love and laughter and JOY. And their “beasts” too — our four-legged friends who are always WELCOME at 11210 Front Street. In addition to my studio work, I have met amazing people in and around Mokena through my work at 22nd Century Media, the University of Chicago, the Les Turner ALS Foundation, Adler University and the March of Dimes, among others. I’ve met heroes and movers and shakers. Even rock stars. Literally. I shot Aerosmith this summer. It was, as you can imagine, a blast. Most of all, I could not do ANY of this without the unconditional support of my loving husband, Rick, my Dad (bless his heart!) and my children Becky and Jess, who don’t always understand why I work every day, but know how much I love it, so they support me regardless! And my sisters & girlfriends and sister-friends, who, if I try to name, one will inevitably be forgotten. But you know who you are. And I love you, too. I face a couple challenges right off the bat this year, but I am literally surrounded by God’s love and support in so many forms, that I am looking forward to both the challenges and blessings so I can watch Him work! A happy, healthy 2015 to all. when the kids grow up. I meet a lot of amazing people through my photography. I’m saying that because it is absolutely true. Families, babies, kids, moms, dads, sisters, brothers, cousins, best friends, dogs. I can arrive to an (almost) stranger’s house with my camera and leave with new lifelong friends. People that I would choose to be around, even if I wasn’t there to photograph them. Sometimes, though, the best part of my business is re-connecting with friends from a lifetime ago. People I may have met 10 or 20 years ago. Or that I grew up with. That I went to high school with. It’s the most amazing thing about my business when I get to photograph my neighbor from Homan Avenue, Angela LaMantia’s kids. 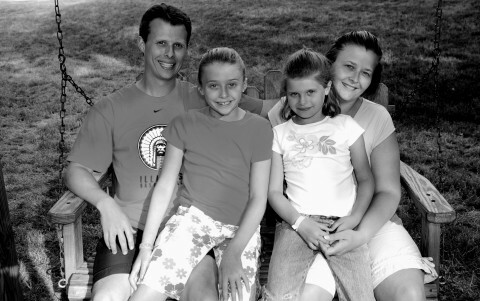 The Houtsma family, whose family of girls babysat me and my sisters growing up. The kids of my friends, who are now graduating from high school or getting married. I love that I am able to re-connect with a lot of the people who have actually helped in making me the person I am today through my photography. 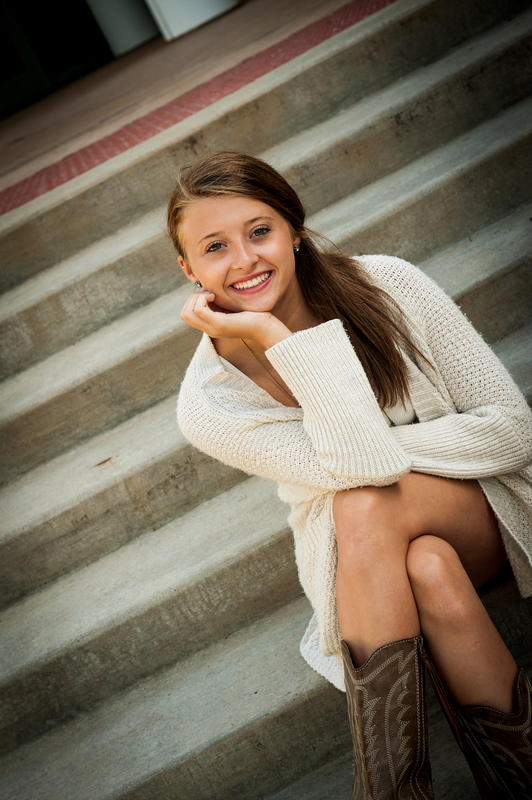 One of those wonderful opportunities occurred this past summer when I was able to meet up with the Simon family to photograph their daughter Lauran for her senior portraits. Her younger sister Abby was able to jump in a few photos as well. I vacationed with the Simons more than five years at a magical place in Berrien Springs, MI called Pennellwood Resort. The same families vacationed together the same week every year, and we became really good friends really quickly. I met Tia and Lou and became fast friends in 2003 at Pennellwood, all because I saw Lou drinking out of an O’Malley’s Monday Night Mug Club mug. The familiar 20 oz. plastic mug couldn’t have come from anywhere but my very favorite bar of all-time in Champaign, IL. I struck up a conversation with them, found out Lou also graduated from U of I, and used to hang out at O’Malley’s. The fast friendship led to me shouting “I-L-L” to Lou, and him responding, “I-N-I” every single time we passed by each other that summer, and for four subsequent summers at Pennellwood. Lou, Lauran, Abby & Tia at Pennellwood Resort, circa 2006. Tia caught up with me on Facebook a few years ago, and we have stayed connected in the digital world. 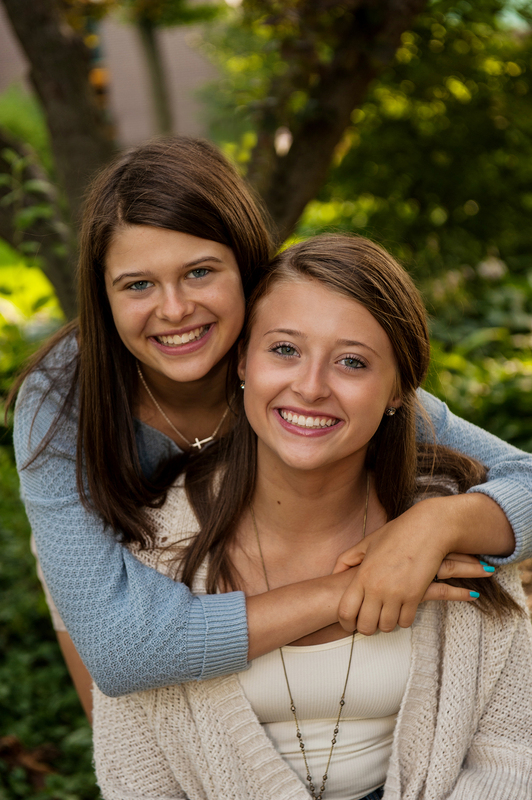 Lauran is graduating from Glenbard West this spring, and Tia graciously invited me to photograph her beautiful daughters. I was honored, and truly touched that they reached out to me for this important part of their family’s history. The girls are grown up and beautiful. And not just on the outside. Lauran and Abby are truly beautiful from the inside. The photographs were so easy! Gone were the little ponytails perched on top of their heads, that Tia used to put in their hair every summer. We called them “toodleheads” at Pennellwood. My daughters had them, too. I spent a couple of hours with this beautiful, grown-up young lady. We ran around, and laughed and had a grand time. Abby, left, and Lauran, August 2013. They were so appreciative when they saw the images, but I really had to thank them. Re-connecting with them for this wonderful occasion was the best thing I could have asked for that month. And I have the photographs to prove it.